The killing of Osama bin Laden by American forces has captured the attention of media outlets throughout the world. Here is a look at how newspapers and websites are covering the death of the Al Qaeda leader. 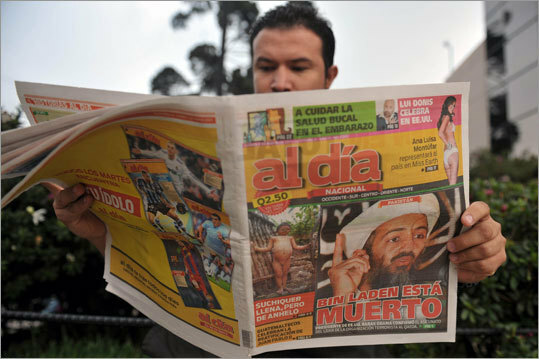 Pictured: A man read news reports on Osama bin Laden's death in the the Al Dia newspaper in Guatemala City on May 2.